Clients who come to my Leatherhead hypnotherapy clinic come for a wide variety of reasons. They may be suffering from stress, anxiety or they may want to lose weight, stop smoking or it may be a phobia that is affecting their lives. Many of these clients also complain of insomnia. Sometimes having a partner who sleeps soundly can make it feel worse. Lack of sleep can affect every area of our lives according popular newspapers and magazines it seems that there is an epidemic of insomnia in recent years. Many articles are written about the need to keep electronic gadgets out of the bedroom, how important it is to go to bed at the same time, keeping the bedroom to the right temperature, excluding light from the outside. The advice is endless and then there are the remedies, lavender spray, sleep tea, herbal tablets. The list goes on and on. Doctors are reluctant to prescribe sleeping tablets because they become addictive over a time. Sometimes clients feel nothing will help them. Sleep deprivation is used as a torture because of the effect on both the mind and the body. Severe insomnia over a period of time can affect a person’s mental and physical health. Insomnia has two distinct patterns. There are those people who cannot fall asleep and lie awake staring at the ceiling. The second group are those who fall easily asleep and wake at two or three in the morning and then lie awake unable to go back to sleep. Hypnotherapy can help with sleep as it can retrain the subconscious to enable us to fall asleep and to stay asleep. Visualising ourselves asleep when in hypnosis watching ourselves asleep as if on a television screen ourselves asleep gives the subconscious a strong message that we can sleep throughout the night. Everyone is born with the ability to sleep. If we can reprogram the subconscious in hypnosis to regain that facility, then in very short time insomnia becomes a thing of the past. One method of stopping the brain churning over the day’s events or worrying about the future is to turn your eyes up to the ceiling and begin counting backwards from five hundred. Between each number blink and mentally say the word “calm”. Very quickly the eyes become tired and the mind slows down allowing you to fall asleep. Years ago the suggestion was to count sheep. Maybe this wasn’t a silly idea. Anything that stops the mind’s chatter will help you to fall asleep. Perhaps granny had the right idea after all. There is a great deal of talk in the media at the moment about Stoptober. It is a fact that if you can stop smoking for 28 days then you are more likely to stop for good. Here at my Leatherhead hypnotherapy clinic I have treated many smokers who have stopped for good. The first few days when someone stops smoking they are dealing with the addiction. Nicotine is very addictive but after 48 hours when all the traces of nicotine have left the body the addiction fades. Why then is stopping smoking an ongoing struggle? 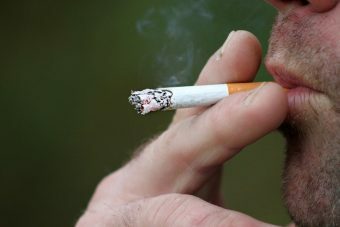 This is because smoking is also an addiction of the mind, a habit in the same way a gambling addict is addicted to gambling, without putting a substance into their body. A smoker is addicted to the action of smoking. Many people who come to me in Leatherhead have given up smoking for weeks, months or even years then they give in to the temptation of just one cigarette and find in a very short time they are back up to their old level of smoking. Once you have stopped smoking there is no going back. Just like an alcoholic who can never have just one drink, the smoker can never have just one cigarette. 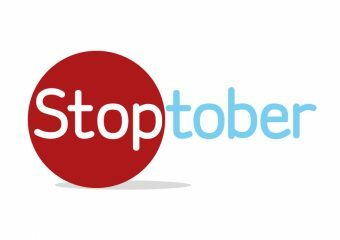 Stoptober is a good incentive to take that first step. Hypnotherapy can help to make that habit easier to break permanently. Fill out my contact form, or give me a ring to find out how it can help you. Here in Leatherhead summer is becoming a fading memory, the nights draw in and the leaves slowly begin to change colour. Autumn is upon us. With the coming of autumn the spiders arrive. Many people share an irrational fear of spiders. 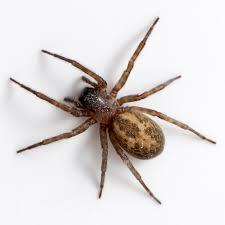 In the United Kingdom we don’t have poisonous spiders. There are one or two spiders that can bite and cause a reaction but unlike other countries we have no dangerous spiders. Someone who suffers from a spider phobia has an irrational fear of spiders and will run in fear from the tiniest specimen. In the autumn when the large house spiders are seeking a place to hide, life can become a nightmare. Here at Leatherhead hypnotherapy we have treated many clients with a simple hypnotherapy technique that reduces and even completely removes that irrational fear. A phobia can begin to take over someone’s life and stop them doing normal everyday things. One client who was sent to me by her Aunty was about to refuse her place at Cambridge because of the fear that she would find a spider in her room and have no one to call upon to deal with it. After one session of hypnosis she was happy to ignore any spider that she saw and went on to have a brilliant career in law. Another client was refusing the chance of a trip to visit her daughter in Australia because of her fear of spiders; again after one session she booked her flight and had the trip of a lifetime. Phobias can seem trivial if you are not affected but any phobia that takes over someone’s life becomes important. 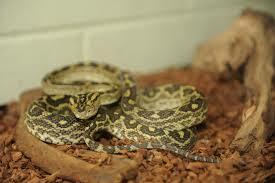 One client who had a snake phobia couldn’t visit her friend even though the snake was in a glass tank. After one session the photo she sent me of herself leaning against the tank has pride of place in my office. If you suffer from a phobia however trivial one session of hypnotherapy may be all that you need. However, the client who always called on the good-looking young man from the flat across the landing to rescue her was more reluctant than most to give up her spider phobia! Hypnotherapy can help people not only to lose weight but to keep it off. One of the ways that this can be achieved is to join a Weight Workshop. Unlike the usual weekly weight loss programmes which focus on calorie counting and dieting, a five-week course of weigh loss by hypnotherapy will help to redefine the way you think about food. Hypnotherapy will help to redefine the way you think about food.t loss programmes which focus on calorie counting and dieting, a five-week course of weight loss by hypnotherapy will help to redefine the way you think about food. 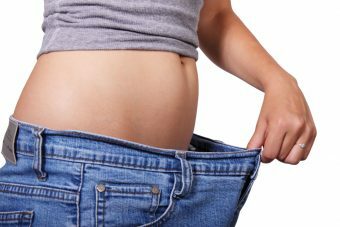 Leatherhead hypnotherapy periodically runs a five-week weight loss course that covers all aspects of losing weight with hypnotherapy. In a small group of no more than about 12 people the weight loss programme uses a combination of hypnosis, Neuro Linguistic Programming (NLP) and visualisations to help you understand why you eat the wrong foods, eat too much food and eat for the wrong reasons. During the five weekly sessions you will learn about relaxation, how to visualise the wrong foods and how to replace them with healthy eating. In the final session you will learn how to do self-hypnosis to enable you to continue controlling your weight until a target weight is achieved. Self-hypnois will also help you maintain that target weight in the future. Over the five weeks we will produce a whole picture to help you lose weight and keep it off. 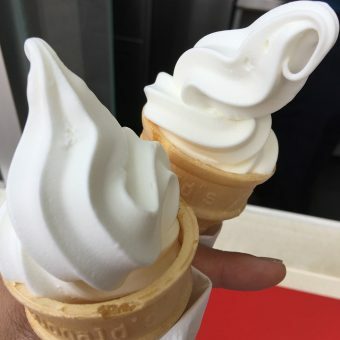 This is not a diet. 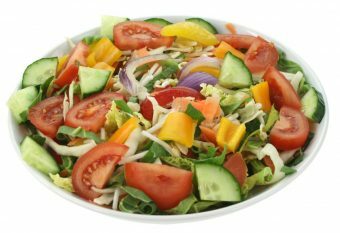 Hypnosis for weight loss works with the subconscious mind to discover where and when eating patterns were formed. For example if we are given sweets as children to comfort us and to stop us crying, when we are grown ups and something goes wrong the subconscious kicks in and we reach for the chocolate. Many clients come to my Leatherhead Hypnotherapy Clinic suffering from anxiety. They may be anxious about a forthcoming event like making a speech or taking a test. Some, however, suffer from anxiety that begins to affect their whole lives. Anxiety can affect our emotions, our behaviour and our physical health. It can create a feeling of fear that makes us avoid situations that have caused anxiety in the past. 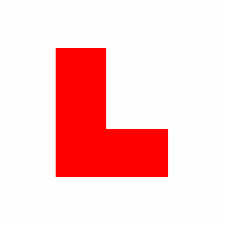 A recent client came to see me because she wanted to pass her driving test. She had now failed three tests and was beginning to believe she would never get her licence. After our initial consultation here at my Leatherhead clinic I learned that when she was 17 during her first driving test a lorry had jack knifed in front of her. In her panic she had jumped out of the car and run back to the test centre vowing never to get behind the wheel of a car again. Recently having moved to Leatherhead and now in her mid thirties with two children she desperately wanted to learn to drive. She had failed two more tests when on each occasion her anxiety had got the better of her. Using an NLP technique to rewind the memories of that first test and a session of hypnosis with positive suggestions and visualisation about driving, her driving instructor noticed the difference in her straight away. The day before her test she had another hypnotherapy session here at Leatherhead Hypnotherapy and felt extremely calm, relaxed and confident. The next day she took her test at Reigate driving test centre and passed easily. The original event, which had left her feeling so anxious, had been dealt with and four weeks later she is driving with confidence. When we avoid the situations that make us feel anxious often this itself ensures we feel anxious and we start to worry about the next time. There are many ways hypnotherapy can help with anxiety regardless of the original cause of the problem. Is the question asked by so many people who come to my Surrey Hypnotherapy clinic in Leatherhead. Smoking is a learned habit. The answer to this lies in what happens when we start to smoke. The first cigarettes we have are usually quite horrible, often they make us feel sick or even dizzy and we struggle to finish them. The majority of people start smoking to impress their friends usually aged about fourteen or fifteen when we are at school. Therefore we persist until we have learned how to smoke. Once we have learned how to do something our subconscious mind turns it into an automatic function something we do without thinking about it. Imagine how complicated our lives would be if we had to remember how to do everything, think back to when you learned to drive and how difficult it all seemed until one day it became automatic and the only time we ever think about driving is if we change our car. This is what happens when we smoke it becomes automatic, these programmes are then saved in our subconscious memory bank and cannot be removed. When I treat a client here at my Leatherhead Hypnotherapy Clinic for stop smoking I explain that we can leave these programmes in our memory bank and they will stay there unless we deliberately recall them. When we are adults and we have children or grandchildren it is amazing how we remember those nursery rhymes and games from our own childhood that have been stored away. Hypnotherapy can help you quit for good. A recent client from Dorking told me she gave up smoking the day she discovered she was pregnant with her son at his twenty first birthday party she told him off for smoking, and he handed her the packet and dared her to smoke one. Sadly she did and within two weeks she was smoking up to twenty cigarettes a day. 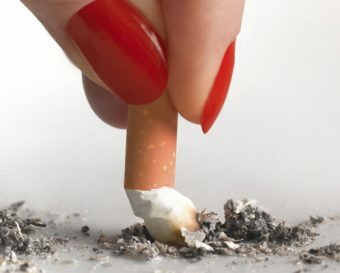 Anyone who gives up however they choose to do it whether with hypnotherapy or just plain willpower, when faced with the urge to have a just one cigarette must always remember they won’t be choosing to have just one cigarette, but they will be choosing to become a smoker again. Talk to me today about how you can become a non smoker. New Year, but still no new you? Are your New Year Resolutions already history? Many clients who come to Leatherhead Hypnotherapy started the New Year with plans to loose weight, stop smoking or get fit. Sometimes even all three. Most of these plans have now been abandoned. One client here at my Leatherhead hypnotherapy clinic said ‘I give up smoking every Monday morning, it lasts until coffee time if I am lucky’. Why do our resolutions fail? We start out with such good intentions. 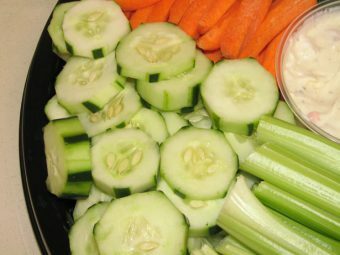 We join the gym or fill the fridge with healthy food then at the first obstacle we give up and revert to our old habits. Habits are ingrained in our subconscious mind, whether it is to have a cigarette on our way to work or a chocolate biscuit with our morning coffee. These habits are important to us. Our subconscious had decided that these treats make us feel better. When the weather is cold and grey we reach for the chocolate bar. When work is stressful and deadlines loom we nip outside for a cigarette. When we plan to go to the gym but our favourite programme is on the television we slump on the sofa. In hypnotherapy we can reprogram the subconscious mind to adopt new habits which are more beneficial for us. We can leave those old habits behind and learn a new way of thinking. Instead of seeing the chocolate biscuits as a reward we can learn that refusing the biscuit and beginning to lose weight is a reward in itself. This can lead to us feeling better about ourselves. Skipping the cigarette break in favour of tidying the clutter on our desk can reward us with not only feeling healthier but also working more efficiently. Here at Surrey hypnotherapy in Leatherhead we can help you get your New Year Resolutions back on track. Here at my Surrey hypnotherapy practice in Leatherhead we are working with clients who want to lose weight, stop snacking and take control of their eating. Choclate biscuits snacks can become a reward. The different parts of our mind all play a part in why we struggle with healthy eating. The conscious part of our mind is the part we use actively and is the part where new information is processed. It is the thinking mind. We know consciously what we should eat and how much. The subconscious is the part of the mind can be described as the storage area for all the information we have acquired over the course of our life. At Surrey hypnotherapy in Leatherhead we know this is where things can go wrong. We use the conscious mind to consult with the subconscious to decide how to behave. If we have the wrong information in our subconscious this can lead to problems. 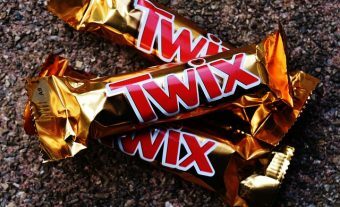 For example if we were giving sweets or chocolate to stop us crying when we were children, when we grow up and our boyfriend dumps us or we don’t get the job offer, even on just a boring or bad day the subconscious kicks in and we reach for the chocolate to make us feel better. The programme is now activated. At Leatherhead hypnotherapy in Surrey we realise the subconscious will always activate the original source – a chocolate biscuit with a cup of tea – I fancy that because when I was a child and crying the chocolate biscuit made me feel better. The emotion is attached to the biscuit. Hypnotherapy can help programme good habits. In hypnotherapy we can change this emotional attachment. At Leatherhead hypnotherapy we can help develop new positive habits and re-educate our subconscious mind. Understanding the reasons why we overeat makes us more likely to find new ways to lose weight. 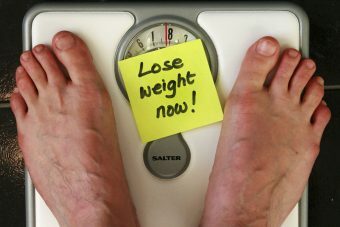 Find out today how hypnotherapy can help you lose weight. Why use hypnosis for weight loss? Hypnosis is the most natural way to lose weight. Here at my Surrey hypnotherapy practice in Leatherhead I devise an individual programme for every client. Hypnosis can help you lose weight in 2017! We all know we need to exercise and eat healthy to reduce weight and with hypnotherapy we can re-programme our thinking to turn this into a new way of life. Hypnosis helps us to understand the link between our mind and body. It can help us develop new positive habits by re-educating the subconscious mind. Many of us develop unhealthy habits often related to childhood days. Here in my Leatherhead, Surrey hypnotherapy practice I track down those habits and uncover why they were formed. This helps clients to develop a new way of thinking. Habits formed when we are children no longer serve a purpose as adults. Hypnotherapy can also help you develop a new self-image, as low self-esteem is often a factor in comfort eating. A client in my Surrey hypnotherapy practise in Leatherhead once told me she didn’t deserve to be slim. Once we had changed this mind-set she went on to lose four stone and became a healthy ten and a half stone. Her blood pressure was lowered and she became much healthier overall in the process. 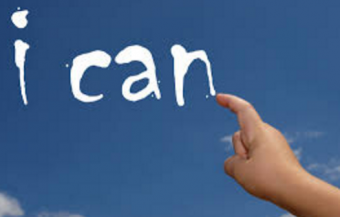 Hypnosis can boost self-confidence, to help you shed unwanted weight. If we understand the reasons why we eat we are more we are more likely to find new ways to lose weight naturally. 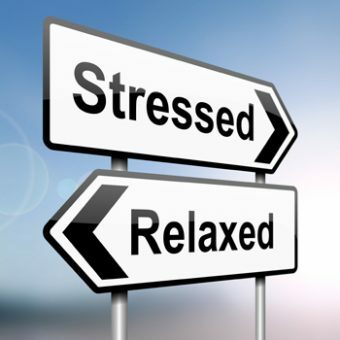 This is why in my Leatherhead hypnotherapy practise I use hypnotherapy relaxation techniques to lessen the effects of stress and anxiety. Hypnotherapy tackles weight loss in a positive way rather than being told what we can’t have, as we all know this just makes us want it more. If you starve your body of food as is often the case in dieting your body lays down as much fat as possible in case of future starvation and that is why the weight just creeps back on. How great will you look when you lose weight? It feels good, you are feeling more confident. You are healthier. Losing weight at a reasonable rate of 2lbs a week will ensure keeping it off long term. No medications, no shakes or slimming bars, and definitely no slimming clubs!